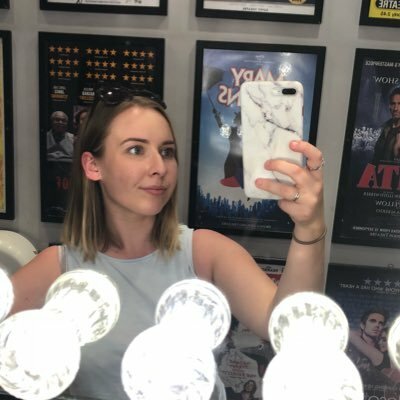 I headed into Central London on the first weekend of May with a hope to catch The Inheritance, but unfortunately wasn’t successful (don’t worry folks, I’ve got tickets to see it in December now they’ve announced their West End transfer). I couldn’t waste a day in London though, and ended up picking up rush seats to see The Ferryman at the Gielgud Theatre and Chess at the London Coliseum. The Ferryman has now closed, but is due to open on Broadway in the autumn and I highly recommend catching it if you get the opportunity. Chess closes this weekend, but I wouldn’t worry if you’ve missed it. It wasn’t my cup of tea at all, which is a real shame as this was the first London revival in over thirty years. The day after my stagey Saturday, I was persuaded by a few of my friends to see West End Does The Magic Of Animation at Cadogan Hall and I had a blast. Some of the most popular names of the stage came together in order to raise money for Make A Wish UK and sang well-loved tunes from animated films. I’ve already booked tickets for their second concert, West End Does Bond, in just over a month’s time. I was also able to get to my first ever West End Live Lounge at The Other Palace, which was also a charity fundraiser, this time for Centrepoint. Even more West End performers took their turn singing songs that have reached number one in the UK or US over the years, with my personal highlight being Andrew Polec. He’s a star! Despite the most stressful train journey of my life and not knowing whether I’d make the show or not, I managed to catch H.R.Haitch at Union Theatre. I’m trying to make an effort to see more fringe and Off-West End theatre, so seeing this new musical was a real breath of fresh air to the London theatre scene. I managed two trips to Milton Keynes Theatre in May, and the first was to see a new stage show: Summer Holiday The Musical. What I discovered that night was that I know approximately four Cliff Richard songs, two of which weren’t in the show. What I also discovered is that the love I had for Ray Quinn when I was 12 still remains to this day. He is a phenomenal dancer! My final London trip of the month was to the The Cockpit to an Off-West End production of Into The Woods. As I mentioned in my review, I have very little knowledge outside the Disney film version of Into The Woods, but I was really impressed with this particular production and I definitely need to get to see more Sondheim shows (don’t worry, I’m seeing Company in the autumn and Follies in the Spring). My second trip to Milton Keynes Theatre, and my final show of May, was to see a show I’ve wanted to watch for years. Legally Blonde The Musical is genuinely everything I ever wanted in a musical adapted from a film, so I am so pleased I got the chance to see it on its most recent tour. There were a few obvious flaws, but overall I had a great time at the show. June is currently looking even quieter in terms of shows I’m seeing, with the only two in my diary at the time of writing this being The Rink and Red, but it’s West End LIVE month so you know I’ll have a lot to say about that at the end of the month! It might even restart my YouTube channel with some West End LIVE content.